Front entrance sign to Mariano’s Fresh Market. Both the front entrance sign and the corner sign at Kensington and Dryden is up and on display at the new Mariano’s Fresh Market. Landscaping is underway and the parking lot shopping cart racks complete with a roof were installed today. Looks like they will be stocking the shelves soon. 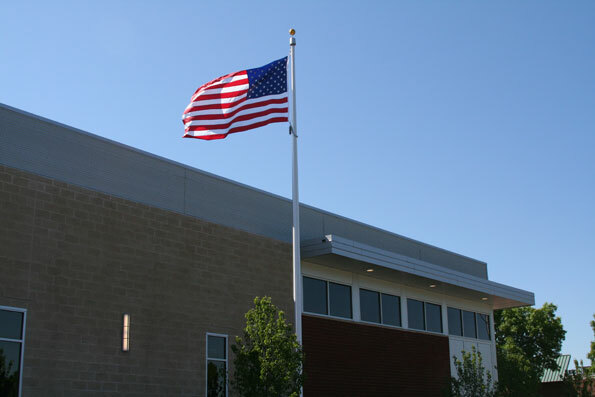 Word is out that the first Mariano’s Fresh Market, a new supermarket from Roundy’s of Wisconsin, will open July 19 in Arlington Heights with a charity event. The regular store opening is planned for July 20, 2010. Not only is the fresh market store a huge grocer, it will feature an indoor-outdoor cafe/deli area, an eat-in sushi bar, Italian espresso and gelato cafe, European bakery, wood-fired pizza station, custom sandwiches including panini, food sampling, catering, and a wine and beer department specializing in pairings with customers’ menus. 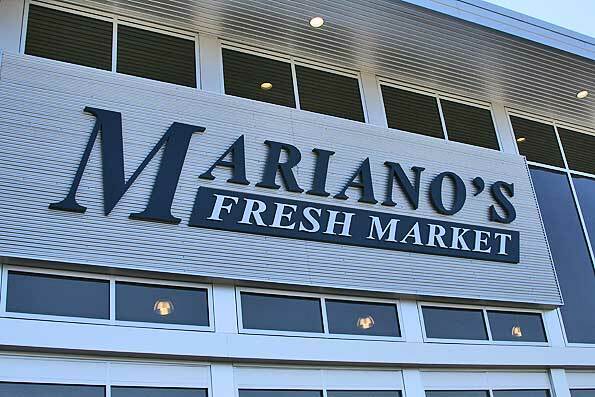 Mariano’s Fresh Market has not officially confirmed the July opening. 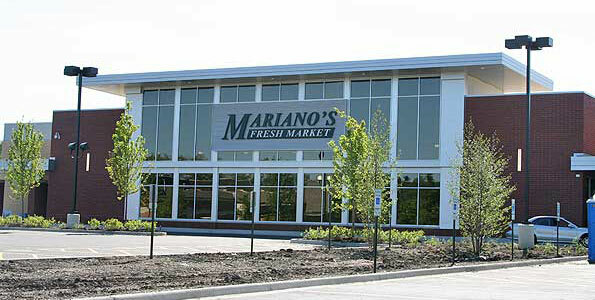 The front entrance of the Mariano’s Fresh Market grocery store. The new website for Mariano’s Fresh Market with the motto Shop Well. Eat Well. Live Well. Blue shape approximate size and location of Mariano’s Fresh Market — the new location in Arlington Heights coming this summer 2010 (overlayed on the former Lattof Chevrolet site).